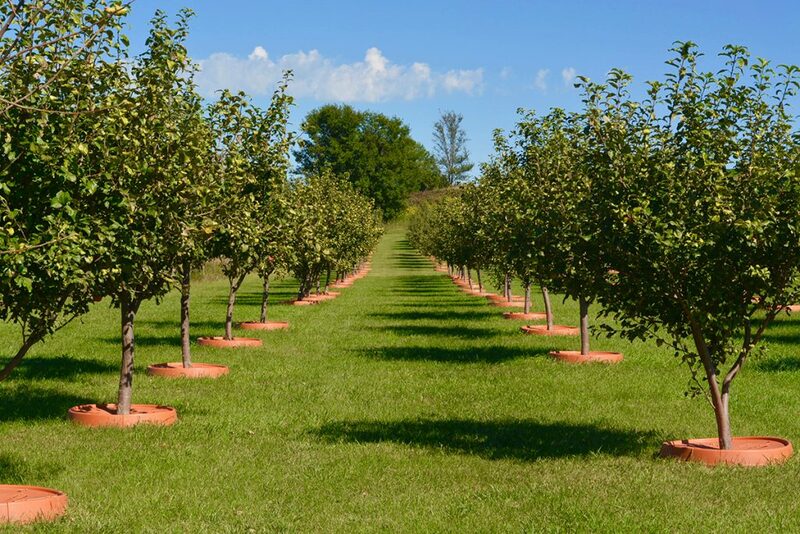 Orchards, groves, ranches and nurseries; no operation is too big or small for TreePans. By naturally suppressing turf grass and weeds around the base of your trees, you will benefit from decreased labor costs, reduced trunk damage from mowers and weed whips, and increased production. 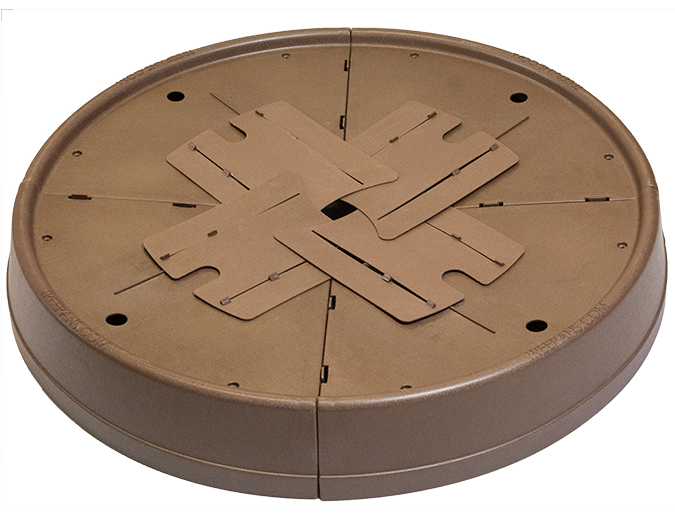 Don’t just settle for a typical tree guard when you can get much more with TreePans. Our studies show that the implementation of TreePans can reduce maintenance costs as much as 20%. The beveled edge of the TreePan directs machinery away from the base of the tree, reducing growth defects from soil compaction. Your maintenance labor costs will decrease by safely and efficiently being able to mow and trim around the base of trees. The TreePans edging will also help reduce water runoff and support a greenhouse effect between the soil and TreePan. This will reduce water evaporation, increasing moisture retention, and allowing for greater efficiency in watering and irrigation.